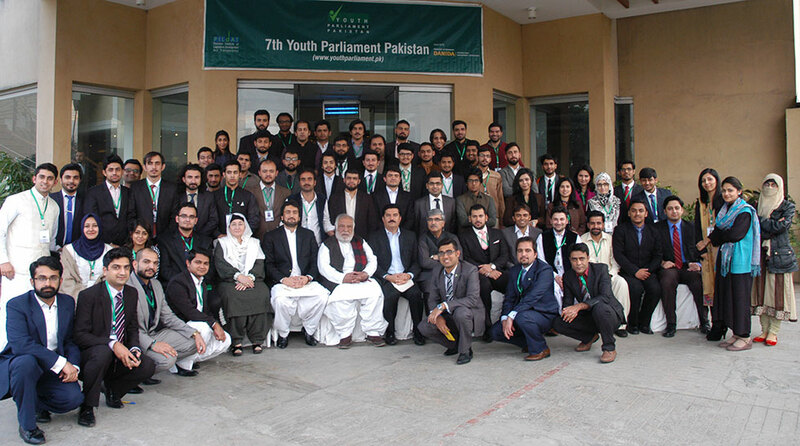 February 4, 2016: The Members from the 5th session of the 7th Youth Parliament began the day by a visit to the Senate where they met the Senate Chairman, bHonourable Mian Raza Rabbani, and toured the Senate Hall. The Members of Youth Parliament were given a brief introduction on the history and purpose of the Senate where they wee informed about the roles of the Senators and the secretariat. The youth representatives also learned that the Senate is now also called the 'House of Federation'. In an insightful meeting with Mr. Rabbani, the young Members were informed on how the Chairman plans on including the Senate in the Pakistan Audits Council- they were also told that the Senate needs to be involved in the monitoring the money bill as well. The Chairman also stressed on the need for a census claiming that it was long overdue and could no longer be swept under the rug. Mr. Rabbani also voiced support to the revival of Student Unions, which are the ‘nursery’ of politics. He claimed that the suppression of such unions was the major cause of the apolitical nature of the youth. The Senate Chairman also felt that the Council of Islamic Ideology has become redundant; in his opinion the parliamentarians, along with oversight from the judiciary, are mature enough to do the job of CII. Members also learned about the importance of indirect elections for the Senate. He claimed that direct elections and use of single transferable votes would result in a similar representation as found in our National Assembly. The indirect votes allows for all the flavors and opinions in the provincial assemblies to be reflected in the upper House. In the afternoon Review Panel Session, Members of the 5th session then presented their Special Committee presentations to a panel of esteemed guests. The Honourable guests who judged the Special committee presentations included: Mr. Wazir Ahmed Jogezai, Former Deputy Speaker National Assembly of Pakistan, Mr. Faisal Karim Kundi, Former Deputy Speaker National Assembly, Mr. Nadeem Afzal Chan, PPP Former Parliamentarian, Honourable Mr. Shahryar Afridi, MNA PTI and Honourable Ms. Nafeesa Khattak, MNA PTI. The Panelists appreciated PILDAT’s effort in initiating a productive session. They also applauded the effort put into the reports and gave their comments on them. All the judges, however, pointed out that ground realities need to be considered along with good intentions while creating and implementing legislation. Mr. Faisal Karmi Kundi acknowledged the loss of voter base as pointed out by the standing committee report for the party; however he also insisted that the People's Party is working vigorously to implement its manifesto for the next elections. He also informed the parliamentarians that politicians often make decisions for the national interest over their own political interests. 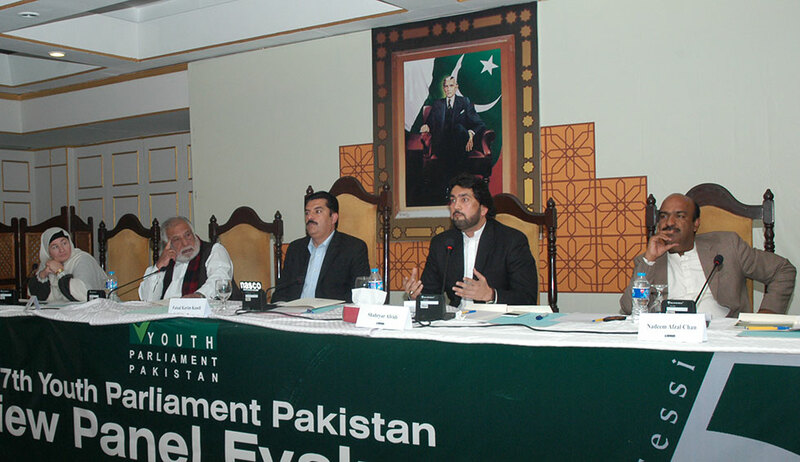 Honourable Mr. Sharyar Afridi urged the youth parliamentarians to continue the good work after the Youth Parliament sessions ends. He agreed that Thereek-e-Insaf needed to improve its on ground presence by ramping up door to door activities. He also pointed out that PTI used all its mistakes as learning experience to ensure their performance is improved. Honourable Ms. Nafeesa Khattak pointed out that although dynastic politics and nepotism need to be removed from the political cultures of all parties, deserving relatives of current politicians do exist. She took her own example and highlighted the need for an impartial system that ensures people are selected on merit, regardless of their position and connections, for all standing committees. Mr. Nadeem Afzal Chan highlighted the need for ownership in politics of Pakistan along with engaging the youth of Pakistan. He claimed that parliamentarians are expected to deal with not only legislation but also the petty issues of their constituents and urged the Youth Representatives to study the ground realities of the Pakistani political system. Mr. Wazir Jogazai also insisted that the recommendations made by all the standing committees would be carried forward. He also told the Youth parliamentarians that successful political parties were ones who interacted with the citizens on a regular basis. 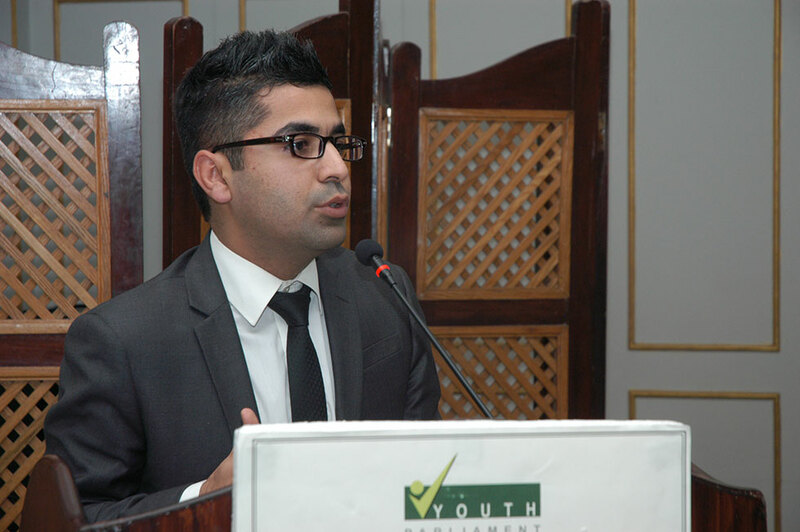 Certificates will be distributed to the top 15 Members of the 5th session of Youth Parliament Pakistan.